When Kirk Cousins decided that he was going to sign with the Vikings in NFL free agency, he couldn’t get a hold of his wife or his mom. So who did he call? James, a AAA employee. The first installment in a series of mini documentaries about Kirk Cousins just dropped on the Vikings’ website, and it’s surprisingly interesting. The 13-minute video, which details Cousins’s much-anticipated free-agency decision, includes new information such as Cousins turning down a three-year, $90-million deal from the Jets in favor of Minnesota’s three-year, $84-million offer (both offers were fully guaranteed). The video also covers aspects of Cousins’s normal life, showing him playing catch with his father-in-law to keep his arm loose and trying to get an international driver’s license with the help of a guy named James at AAA. James is a little starstruck when he realizes he’s talking to the Kirk Cousins and asks him the question on every NFL fan’s mind: Where are you signing? Days later, when Cousins had reached the decision to take Minnesota’s offer, he tried to tell several members of his family. His wife didn’t pick up the phone. His mom didn’t pick up the phone. His sister didn’t pick up the phone. So he called James at AAA back and James became the first person aside from Cousins, his agent and the Vikings (and probably Adam Schefter) to know where Cousins was going. The whole video is really worth a watch, even if you’re not a Vikings fan. For a similar behind-the-scenes look at NFL free agency, check out SI TV shadowing Malcolm Butler. NHL executives appear to have taken that rumor from this spring about the NHL prospect whose career was reportedly ruined by a video game addiction pretty seriously. But I don’t know if I could find a better encapsulation of how out of touch sports executives are. Video games are just a hobby. I wonder how those executives would feel if someone told them to delete all their Facebook posts about golf. LeBron’s new show The Shop debuted last night on HBO and got rave reviews. Draymond Green went in on Michael Jordan and Odell Beckham talked about how tough it is to be a black professional athlete. Nickelodeon is launching a streaming service to let you watch all the cartoons from your childhood like Doug and The Wild Thornberrys. ... A UConn fan site is making a documentary about the stupid Civil ConFLiCT “rivalry” with UCF that everyone made fun of. ... Usain Bolt is making his professional soccer debut on Friday. ... A Los Angeles man is facing felony charges for repeatedly dining and ditching on his Tinder dates. With Labor Day on the horizon, we figured it was the perfect time to give away one of these cool grilling accessories. 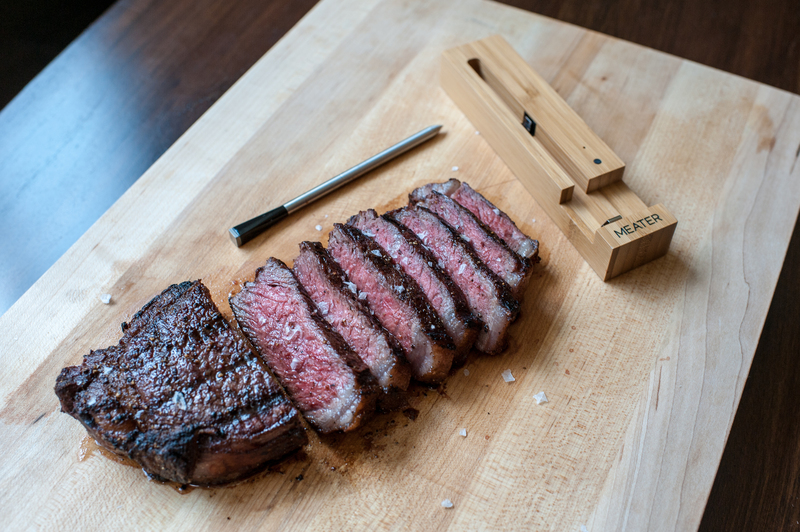 The MEATER is an app-enabled meat thermometer that measures the internal and external temperature of your meat so you can cook it exactly how you like. It’s made of stainless steel, with a wooden charging case. The charger needs only one AAA battery to charge the probe long enough to last for 100 uses. It retails for $69. Lions signed former Buccaneers’, Giants’ and Broncos’ defensive Robert Ayers to a one-year deal, per source. More pass-rush help and versatility for the Lions. #Lions have released DE Robert Ayers. Fabio Fognini's #USOpen outfit is a shameless attempt to win American fans' support and looks like something Rocky Balboa/the Harlem Globetrotters would wear. Scoring goals and driving the Zamboni. Mariners manager Scott Servais made a bet in July that he would get a haircut to match closer Edwin Diaz’s if Diaz notched 50 saves. Would you be shocked to learn this guy allegedly stole a paint truck? Email dan.gartland@simail.com with any feedback or ping me on Twitter. Bookmark this page to see previous editions of Hot Clicks and find the newest edition every day. By popular request I’ve made a Spotify playlist of the music featured here. Visit our Extra Mustard page throughout each day for more offbeat sports stories.